Today we continue our weekly series False Profits -- A Weekly Look at Wall Street and Corporate Capitalism. Daniel Sankey, a financial policy analyst, joins the show. Turkish president Recep Erdogan said in an op-ed in today’s Wall Street Journal that Turkey ... See More will face a catastrophic refugee crisis if the Syrian government is allowed to attack terrorists and foreign troops currently holed up in the city of Idlib, even as Russian and Syrian fighter jets bombed the city. Erdogan warned that “the entire world will pay a price” if Idlib is attacked. Brian and John speak with Rick Sterling, an investigative journalist and member of the Syria Solidarity Movement. The White House confirmed today that talks are underway with North Korea over setting up a second summit meeting between President Trump and Chairman Kim Jong Un, as the two sides try to put stalled peace talks back on track. 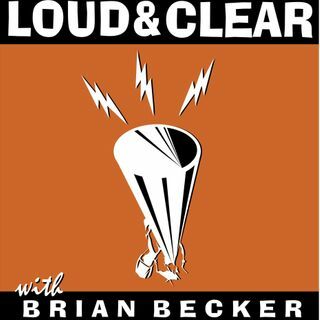 Author and professor Tim Beal, whose most recent book is “Crisis in Korea”, joins the show. In a public toilet next to Beijing’s Temple of Heaven, it is reported that a toilet paper dispenser uses surveillance cameras to check on people stealing toilet paper. At Peking University, a lecturer uses surveillance cameras to check whether students are bored. It was street security cameras that identified the 2005 London Underground bomber and the 2013 Boston marathon bomber. It is satellite-based cameras that are tracking typhoons, following IS troops in Syria, watching rhino poachers in African game reserves and tracking the retreat of the Arctic ice cap. The age of surveillance is upon us. What does it mean for our civil liberties? We’ll talk to an expert whose new research explores ways that technology can be tailored to respect civil liberties. Brian and John speak with Prof. Bryan Ford, who leads the Decentralized/Distributed Systems lab at the Swiss Federal Institute of Technology in Lausanne.